With BC’s municipal elections and voting referendum coming up October 20th, British Columbians are gearing up to have their say. So where and how can people with physical disabilities vote? We’ve compiled a list of voting locations and accessible options in urban centres across the province, so you can confidently cast your ballot. This October, residents of BC have the opportunity to take part in two important aspects of our democratic electoral system. These are municipal elections (elections for representatives in your residing city) and the 2018 Referendum (on how the election system itself will operate going forward). You can find further information on the current First Past-the-Post system and the proposed proportional representation systems on the Election BC Referendum page, and ensure your address is up to date to receive your voting package. Municipal (local) elections in BC are held every four years on the third Saturday in October. The next elections will be held on Saturday, October 20, 2018. These elections are the most direct way for the public to influence their local government, school district or other local governance body by voting for individuals who then make decisions and govern on their behalf. Municipal elections include elections for city councils, regional district electoral areas, boards of education, and specified parks boards. Please note: This information below is accurate to the best of our knowledge, taken from municipal voting websites or from emails with cities’ electoral officers, however, we cannot guarantee this information does not change over the next month. All voting locations are wheelchair accessible. You can find all the available locations for voting on this map, including for advanced voting. You may vote by mail if you have a physical disability, illness, or injury that affects your ability to vote in person on all voting days. You can fill out the application form on their website. If you are physically unable to enter the voting place, you may have someone ask the Presiding Election Official to assist you to vote near the voting place, such as in your car. On October 20, if you need help to mark your ballot because of physical disability, ask for the Presiding Election Official in charge at the voting place. You can choose to either have the PEO help you, all election officials must take an oath to preserve the secrecy of ballots, or you can bring someone you know to the voting place to help you. This person will have to take an oath of secrecy as well. For a list of voting locations open October 20, with advanced voting locations listed in red, you can consult this page. Mail-in ballot packages will be made available between September 28 and October 18, 2018. Fill out a request form to vote by mail and follow the listed instructions to submit it. If you have difficulty entering the voting location, you may ask to receive and mark your ballot outside. You will need to bring someone with you who can advise the Presiding Election Official that you need assistance. All voting places are accessible by people who use wheelchairs and mobility scooters. On their website you can find a list of advanced voting locations, and find your designated voting place for October 20. If you have a physical disability, illness, and/or injury that affects your ability to vote in person on General Voting Day (October 20) or at all advance voting opportunities (October 6, 10, 11, 12, or 13), you may apply to vote by mail ballot. To apply to vote by mail ballot, please provide your name and residential address to the Richmond Elections Office. If you are physically unable to enter the voting place because of physical disability or impaired mobility, you may request to vote in your vehicle in the parking lot or street curb. They encourage you to call the Richmond Elections Office at 604-276-4100 right before you arrive at your voting place. You may bring a friend or family member to assist you with reading or marking your ballot at the voting booth. They must make a solemn declaration to faithfully and impartially assist you. An Elector Assistance Voting Booth will be provided to ensure your privacy. There will be an accessible ballot-marking device available at Richmond City Hall on advance voting dates (October 6, 10, 11, 12, or 13). This is NOT available on October 20. With this accessible ballot-marking device, you will be able to mark your ballot independently using the following options: descriptive audio, touch screen, rocker paddle device, Braille keypad, and connections for sip and puff devices. Consult this map for advanced voting locations and locations for voting on October 20. If you have difficulty entering the voting location, you may ask to receive and mark your ballot outside. If you are unable to bring someone with you who can advise the Presiding Election Official that you need help outside, a contact number will be available at the accessible parking stall, which will be clearly labeled for your convenience. If you require assistance with voting you may bring someone with you to the voting location to help you vote. Please note they will be required to complete a declaration in order to provide support. 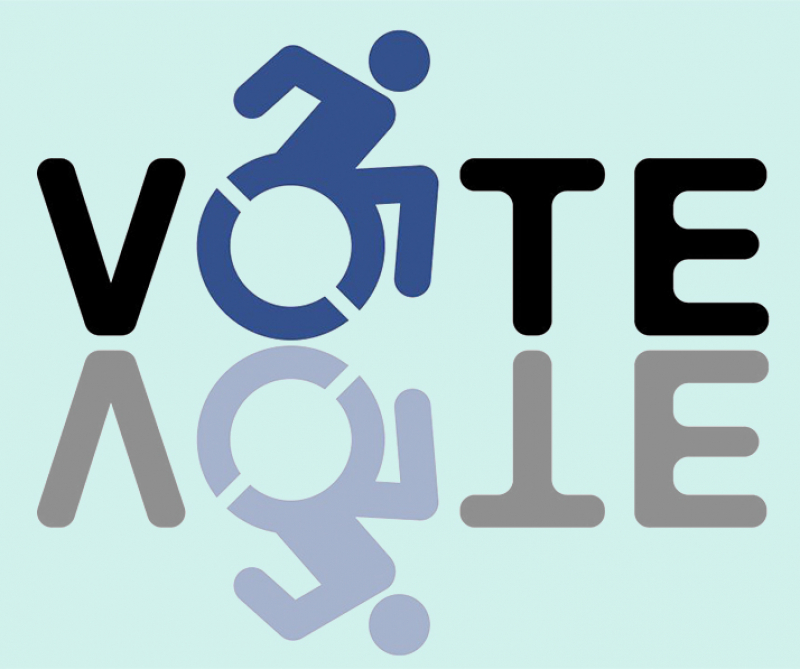 All buildings where voting takes place are public buildings and meet accessibility standards. Visit this website for information on advanced voting locations and voting on October 20. The City of Victoria offers eligible voters the opportunity to cast their vote by mail if the voter is unable to attend in person at a voting opportunity on account of a physical disability, illness or injury that affects their ability to vote at another voting opportunity. Contact Legislative Services at 250-361-0571 or email elections@victoria.ca to arrange a mail in ballot. If you are unable to enter the voting place, you may ask to receive curbside voting in order to mark your ballot at a location outside the voting place. Please inquire with the Presiding Election Official at the voting place. Advanced voting will take place on October 10 and 17 at Bowen Park. Locations for voting on October 20 can be found on their website. Qualified electors may vote by mail if they have a physical disability, illness or injury that affects their ability to vote. Applications may be obtained either in person from the Legislative Services Department at 455 Wallace Street, by email (elections@nanaimo.ca) or by filling in the Application to Vote By Mail form. If you have difficulty entering the voting location you may ask for the ballot to be brought out to you. If you are not able to bring someone with you to notify the Presiding Election Official that you require assistance a contact number will be available in the parking lot of each voting location on voting day. Every voting location is wheelchair accessible. If the elector is unable to enter the voting place, there are provisions for the elector to vote from their vehicle. Procedures are in place at each voting place and the Presiding Election Official is trained in providing this service. The Presiding Election Officials (PEO) are prepared to assist electors who require assistance due to a physical disability. If the elector chooses to have someone other than the PEO assist them in marking their ballot, the person assisting must complete a “Declaration of Person Assisting an Elector to Mark a Ballot”. This process will be undertaken by the PEO at the time of registration. Visit Vernon’s electoral website for advanced voting locations and locations for voting on October 20. If you have difficulty entering the voting location, you may request to receive and mark your ballot outside. Election officials will provide you with a ballot and a secrecy sleeve. You may choose to have someone who is accompanying you deposit the ballot in the voting machine or request an election official to do this for you. All voting in the City of Kelowna is being conducted in facilities accessible to all voters. This includes general access and an accessible voting layout. Check out their municipal elections map for advanced voting locations and locations for voting on October 20. You can fill out an application form to vote by mail. Curbside voting is available upon request for those unable to enter the voting place. An individual (or election official) may take an oath in order to provide assistance to another voter, including providing written assistance if required to mark a ballot. As an option for those with differing abilities, the voter assist terminal is available in order to provide an electronic option for electors to mark their own ballots privately and independently. The voter assist terminal will be available at Parkinson Recreation Centre during all advanced and general voting days. You can find the locations for advanced voting and voting on October 20 on the Kamloops’ electoral website. This option is only available to those who have a physical disability, illness or injury that prevents them from voting at another voting opportunity, or persons who expect to be absent from the city on Advance and General Voting Days. You must fill out an Application To Vote By Mail. If you are unable to enter the voting place, you may ask to vote near the voting place. If you need help to vote (for example, to read the names, or to fill in the ballot), ask for the Presiding Election Official in charge at the voting location. All Election staff must take an oath to preserve the secrecy of the ballot. Or, you may bring someone you know to the voting place to help you. This person will have to take an oath of secrecy. All voting locations are made as accessible as possible to people with disabilities or impaired mobility. On their elections website, you can find information about locations for advanced voting and voting on October 20. Electors may vote by mail if they have a physical disability, illness, or injury that affects their ability to vote at another voting opportunity. To do so you must submit an application to request a mail ballot. Individuals who find it difficult to enter a voting location may request a ballot brought to them in the parking lot or at curbside by an Election Official. Individuals unable to mark their own ballot may ask an Election Official, friend or relative for help. Anyone assisting an elector with filling out a ballot will be required to sign a Declaration of Persons Assisting an Elector to Mark a Ballot form. Advanced voting is available October 10 and 17 at the Royal Canadian Legion, as well as on October 20. See this poster for more details. Qualified electors may vote by mail if they have a physical disability, illness or injury that affects their ability to vote at another voting opportunity. The following information must be submitted to City Hall: Full name, Residential address, Address of the property in relation to which you are voting (for non-resident property electors), 4. Method of delivery of your mail ballot package: pick up at City Hall’s office, OR regular letter mail through Canada Post. This information can be submitted by: mail (10631 – 100 Street, Fort St. John, BC, V1J 3Z5), telephone (250-787-8150), or email (jprestley@fortstjohn.ca or lhowes@fortstjohn.ca) to receive a mail ballot. Available on October 20 for those who come to the voting place to vote but are unable to enter the voting place because of a physical disability or impaired mobility.